Improve customer service and transparency, and reduce service calls with this secure, always-current order status and account statement. Start a new row for each order, then attach orders, invoices, shipping details, and payment acknowledgement. Begin collaborating with your customers by sharing your sheet or confirming their request to be shared. When Sharing, select the desired editing permissions for each new collaborator. Create a Workspace to easily share multiple sheets with the same group of people. Collaborators will have the same sharing permissions to all items in the workspace. Lock any column or non-blank row to prevent others from changing or deleting key information. Only the sheet owner or admins can lock or unlock columns/rows on a sheet. Sheet owners and admins can still edit locked columns/rows. Work simultaneously on your order tracker with everyone who is shared the sheet. Smartsheet will notify you when multiple collaborators are working on the same sheet to help you manage changes. Click the Highlight Changes button to see all recent changes since the last time you viewed the sheet. See a history of all cell revisions by right-clicking on the cell and selecting View History. This is helpful to see all the cell's previous values, who changed it, and when. Call attention to key information by using Conditional Formatting rules to automatically apply formatting to cells based on the values they contain, such as Invoice Date or Paid. To set an email reminder on any order row in your sheet, select Set Reminder from the row menu. Choose the Alerts tab to trigger Reminders for the whole sheet, or to notify yourself & others of changes to the sheet. Send Smartsheet attachments like order confirmations or receipt acknowledgments to DocuSign for e-signature, and the signed documents will be automatically uploaded back to the Smartsheet row. 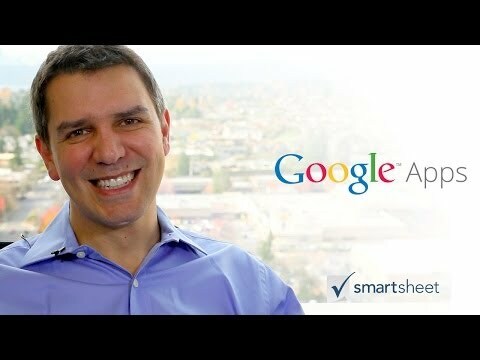 Built by Smartsheet Labs. Attach your Drive files directly to customer orders in Smartsheet. Edited documents update automatically in the Smartsheet attachment, so your files are always current. Connect Smartsheet and Google Calendar to gain a complete view of all your customer orders and highlight key dates. Overlay your Google Calendar on to your order history in Smartsheet, or publish key dates from your sheet to Google.